This Mother’s Day, stand a chance to win RM300 worth of ss15 Courtyard cash vouchers! Join the “I Love My Mom” contest! There will be 3 winners each week. Step 1: Click “Like” on ss15 Courtyard FB Fan Page and follow us on Instagram at ss15 Courtyard. 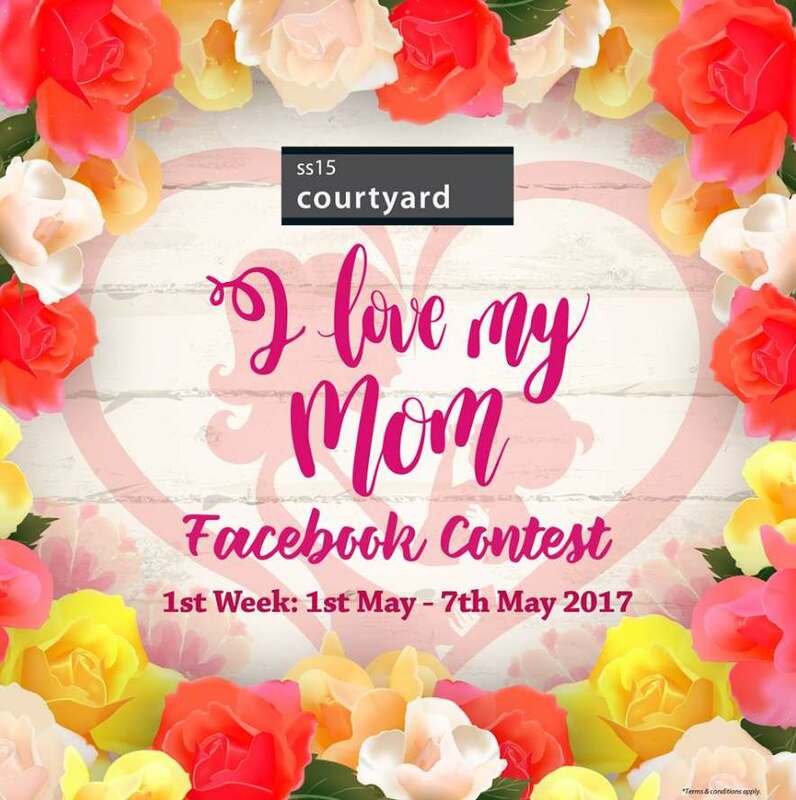 Step 2: Tell us 1 shop in ss15 Courtyard that you would like to bring your mother to this Mother’s Day in no less than 8 words by commenting in this post. Step 3: Share this post on your Facebook wall and tag @ss15 Courtyard. This week contest ends 7th May 2017. Hurry and join now! Find out more at SS15 Courtyard #Malaysia.